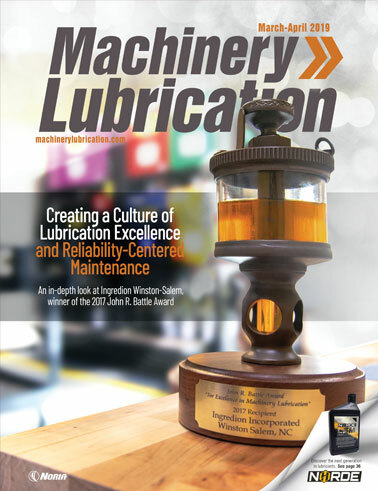 Considering the effects that contamination can have on lubrication, it’s not difficult to understand why oil filtration is so important to industrial machinery. Without it, contaminants would pile up, and contaminant-induced abrasion would go uncontrolled, resulting in disrupted lubrication and machines more prone to premature failure. Depending on the equipment’s needs, there are various types of oil filters, all of which are designed to capture different kinds of contaminants with varying degrees of performance. Solid particles are the primary contaminant targeted by oil filters, but water also has an opportunity to be absorbed by many of these filters, including those made from cellulose fibers and coiled paper. This can even enhance the filter’s ability to capture particles to a certain extent. However, if the filter is exposed to too much water, it can cause the filter to function improperly or even clog the oil flow. Some of the first known filters were created to remove unwanted contaminants from water. This process was pioneered by the Romans, but it has also been cited as having other origins. The word "filter" actually comes from the Latin word "filtrum" or "feltrum," which is related to felt or compressed wool, providing a means to filter contaminants when water passes through it. The development of filters for oil cleanliness did not occur until the early 1900s through the progression of crude oil refining and the automobile industry. A filtration system generally is sized and configured to handle the expected types and amounts of contaminants to which the system will be exposed. It is also important to select components for the filtration system that will allow for infrequent filter maintenance. The differential pressure gauge should change gradually as the filter element becomes saturated. After several cycles of normal filter changes, the maintenance schedule will become predictable. However, when unexpected water is exposed to the system, it can clog the filter and cause a drastic change in the differential pressure, putting sudden strain on the filter element. If this continues for days or weeks, the element can form a bypass gap in the damaged media, enabling oil to flow through unfiltered. So, while these types of filters can absorb a certain amount of undesirable water, if water-saturated filters are ignored for long periods of time, the filtration system will become compromised. Another way water can damage filters is through oxidation. Small amounts of water in oil, typically in the dissolved state, are not unusual and in some cases unavoidable. If the water remains in small quantities, most filters will not have any significant consequences. However, if the water amount rises beyond the saturation point, the negative effects on the lubricant and equipment will increase, impacting the filter’s performance. Water’s reactive nature also promotes oxidation reactions with the lubricant’s molecular structures. As oxidation occurs, water reacts with hydrocarbons to form free radicals and oxygenated compounds. 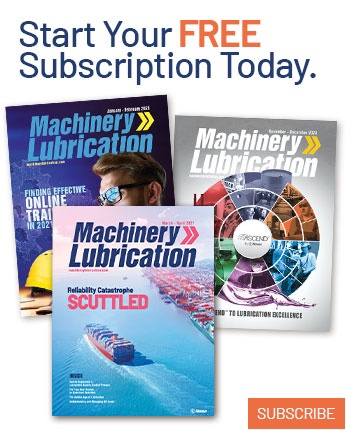 These new products in the lubricant expose the equipment’s lubrication zones to the detrimental effects of organic acids and high-molecular-weight polymeric products. In other words, sludge, tar, varnish, slimes and other resins will form, wreaking havoc anywhere the oil flows. One of the places where the oil will flow is to the filter, where these gummy and sticky substances will quickly saturate the element. In addition, water encourages the growth of microbial organisms. For example, bacterial growth can cause the formation of sulfuric acid, which can become corrosive in the oil and to machine surfaces. When this type of growth goes unnoticed and uncontrolled, it can result in premature lubricant degradation, corrosive wear and shorter filter life. Colder operating temperatures can also create challenges with all aspects of lubrication and equipment operation. In regard to filters, not only is the oil more viscous, but water at subfreezing temperatures in a lubrication system can lead to alarming issues. Water droplets will turn into ice crystals, particularly when water is heavily entrained. These crystals will form a new type of solid contaminant that can lodge in the filter media, causing a rapid decline in the filter’s performance. With turbulence and changing temperatures, permanent damage to the filter can also occur as the crystals fluctuate in size and position. In some cases, the filter may rupture when flow is obstructed. The oil sample is deliberately contaminated by a controlled volume of water and mixed. The mixture is placed in an oven for two hours, stirred and then returned to the oven, which is set to approximately 70 degrees C, for 70 hours. The mixture is then kept at room temperature and away from light for 24 hours. Using a filter with a 3-micron pore size and a cellulose and nitrate composite membrane on a special filtration apparatus outfitted with a pressure vessel, the treated water/oil mixture is vigorously mixed following a strict procedure and then poured into a filtration funnel. After reaching 25 pounds per square inch differential (psid), the elapsed time and sample mixture volume are measured in a collection cylinder. The resulting filterability can be analyzed from this data. 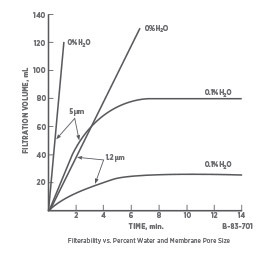 The filterability factor is reported as a ratio of the volume of oil passing through the membrane filter divided by the area of the membrane filter. 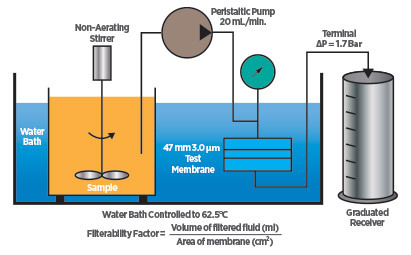 Since the test results are dependent on the amount of water added to the sample, the filterability can be reported in reference to this volume. This procedure is primarily intended for new hydraulic fluids with a viscosity of up to 100 ISO VG. 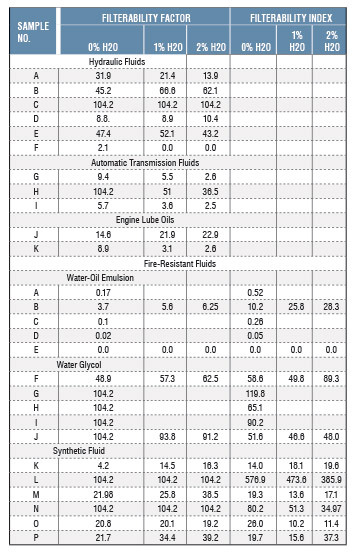 A modification of the procedure can also be performed to establish the filterability of other lubricating oil types. If you are concerned that water contamination is influencing your lubricant’s ability to be filtered, consult the lubricant manufacturer’s technical support to determine whether this test has been reported for your lubricant type. Additionally, you may wish to contact your oil analysis laboratory to have this test performed if filterability is a concern. The filterability of some oils may also be influenced by particular additive byproducts or other insoluble contaminants, which are often found as a result of oil oxidation, thermal degradation and varnish. Even some organo-metallic additives can lead to a clogged filter. When certain additives are allowed to react with water in the oil, the formation of precipitates will cause even worse filtration issues. As mentioned previously, water ingression is difficult to prevent entirely, and avoiding it may not even be necessary. In fact, for some types of equipment, a very small percentage of water is better than being completely dry in order to keep specific materials from drying out. Nevertheless, any water ingestion or moisture that is introduced by a process should always be understood, monitored and controlled. On smaller and simpler wet-sump systems, visual inspection devices should at least be used to recognize the signs of water contamination. These devices would include a bottom sediment and water (BS&W) bowl, 3-D bull’s-eye sight glass and/or columnar sight glass. Other in-line sight glasses or clear-access panels can offer evidence of moisture as well. Water will be revealed by a cloudy or milky appearance, or will drop to the BS&W bowl where it is collected. Equipment with easy access for inspecting the headspace can help provide a quick indication of any moisture ingression. When temperatures change, the thermal cycles may cause the oil to sweat out the water, which can collect on headspace machine surfaces. Over time, corrosion may occur. Evidence of this or any water present can be detected through visual inspections. Headspace moisture-control devices such as a dry-instrument air purge or desiccant breathers can drastically help to avoid airborne moisture contamination from entering the oil. A desiccant breather can also indicate the likelihood of water being present in the machine. Larger, more complex and critical equipment should follow the same recommendations mentioned previously in addition to oil analysis and possibly even online moisture content analysis. Most industrial equipment should maintain a moisture target level between 50-300 parts per million, depending on the component sensitivity, metallurgy, criticality and other factors. Filter management should include a combination of activities, beginning with the selection of filters for the system’s needs. 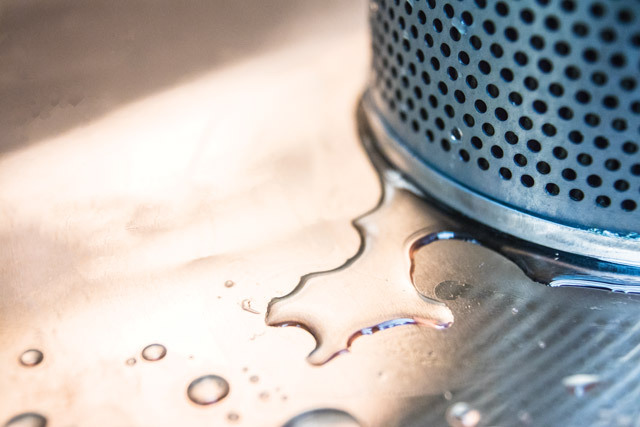 If water is a common uncontrollable contaminant, then filters specifically designed to help remove large amounts of water or a separate water-removal device may be necessary. Secondly, being aware of and controlling the ingression points for all types of contaminants will increase not only the filter life but also the life of the oil and machine. Contamination control is all about exclusion and removal. 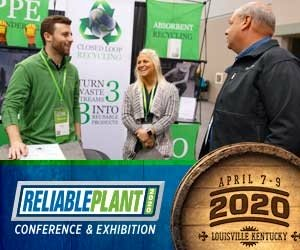 Removal by means of a filter may be inevitable to some degree, but investing in contaminant exclusion only costs one-tenth of what it will cost after contamination enters the system over the machine’s lifetime. Also, solid contaminants aren’t the only types of contamination that should be considered. Moisture is the second most destructive contaminant and is often ignored. As with any filtration, a differential pressure gauge should be installed to identify a change in pressure between the inlet and outlet sides of the filter’s housing. This will give an indication of the saturation level of the filter media. If the correct filter has been selected, the differential pressure will gradually increase over several weeks or a month. Of course, a drastic spike can occur at any time as a result of an unexpected surge of particles or saturation of the media by water or other insoluble products. That being the case, never rely solely on historical data to determine how often to change a filter, especially for critical equipment. Just like every inspection device installed on equipment, the differential pressure gauge should be inspected frequently and marked so maintenance and operations personnel can easily recognize an issue and report it immediately.